ST. GEORGE — America’s first Thanksgiving was celebrated by the Pilgrims after their first harvest in the New World more than 400 years ago, a time when isolated immigrants and the country’s indigenous people sat down for a meal, thankful for the bounty and for each other. Setting aside time to give thanks for blessings bestowed and preparing feasts celebrating a harvest are practices that existed long before the Pilgrims joined the Indians for a meal. Today, a 45-year tradition of a community gathering for Thanksgiving dinner was in full swing at the Red Rock Canyon School in St. George. In spite of a power outage lasting for more than an hour shortly before dinner was to be served, the doors still opened at 11 a.m., welcoming thousands of area residents who have made the annual feast part of their holiday tradition. 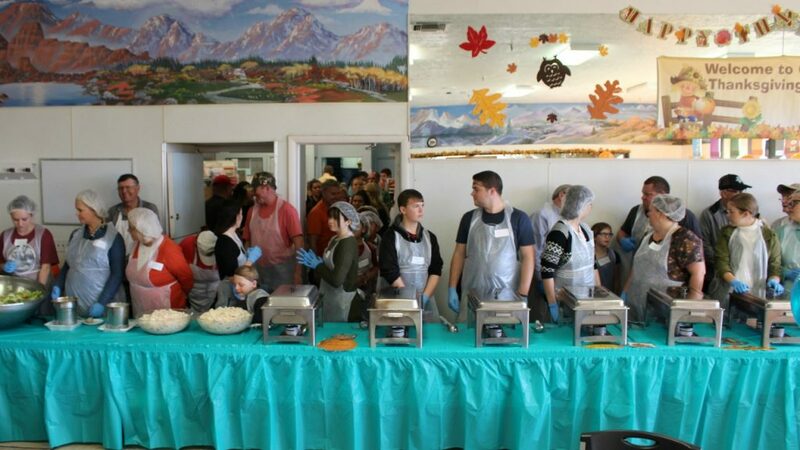 More than 200 turkeys, hundreds of pies and a myriad of holiday trimmings lined serving tables spanning nearly the length of the dining hall as St. George Mayor Jon Pike opened the festivities with a prayer. “This is an incredible outpouring of gratitude and love for those who like to take advantage of this during the holiday season,” Pike said. St. George News set out to find out what goes on behind the scenes to make feeding thousands of people possible. See video in the media player top of this story. 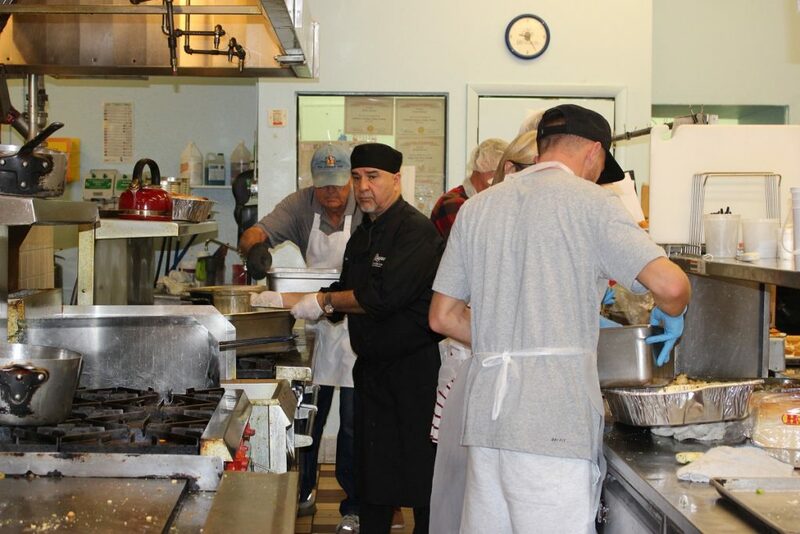 Feeding nearly 4,000 people is a herculean task that takes an army of volunteers, sponsors, generous businesses, private citizens and donations that come from every part of the community. 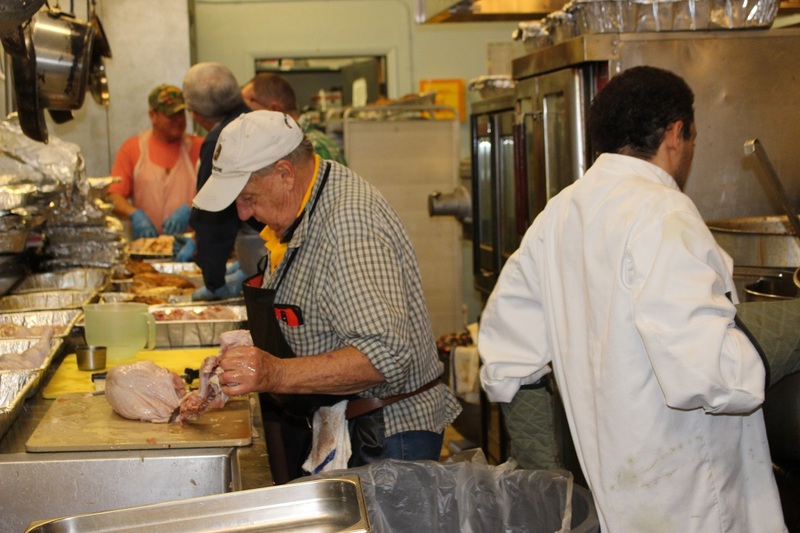 An event of this magnitude requires the efforts of volunteers, with more than 300 people participating in the preparation, cooking, restocking and cleaning. Oh, this is a joyful place to be at, and we are retired now so it’s good to give back to the community and there’s so many people out there so we welcome everyone to come out and join us. The event itself is the grand finale but the planning and preparation began more than three months ago, Sherman Habibian said. The annual dinner was started by Sherman Habibian’s father, Frank Habibian, who was invited to a Thanksgiving meal shortly after immigrating to the United States as a child in the 1970s. 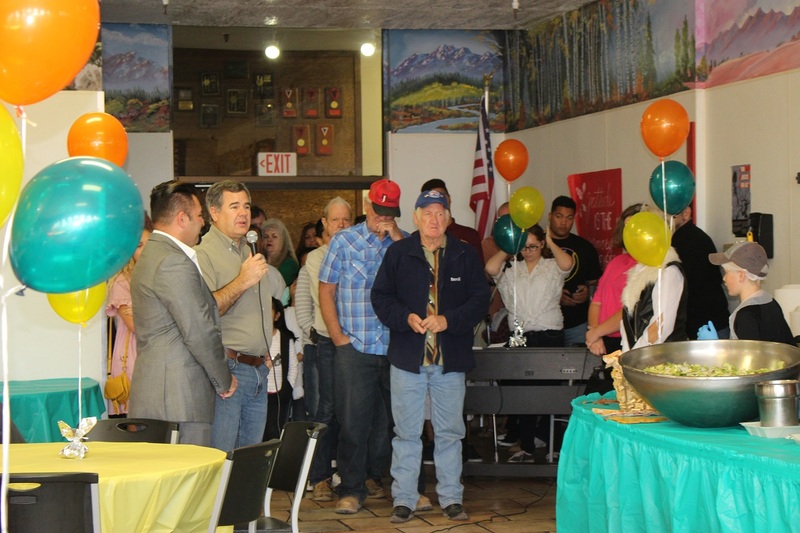 “When my father came to the area, the people in Southern Utah opened their arms to him, and he noticed how giving the community is, so he started the annual event as a way to give back,” Sherman Hibibian said. Frank Hibibian made a promise to himself after witnessing so much kindness and generosity. “The day that I become successful I am going to pass this forward,” he told his son. He made good on that promise in 1973 when he started the annual event and continues passing it forward decades later. Cooking hundreds of turkeys takes a team, and leading the crew is Master Chef Ron Nia, who has donated his time and talents to the cause for years. “I’m here about 20 years to make myself happy, that’s all – it’s a selfish act,” Nia said. There are nearly 200 sponsors and contributors who play a vital role in making the event possible, including grocery stores, small and large businesses and private donations. Many of those business owners even call asking what they still need and where they are running short. Between 2,500 to 3,000 eat dinner in the dining hall each year, and around 1,000 more meals are boxed up for those who stop to visit but for health or other reasons are unable to stay. The dinner event is a Habibian family tradition, as the patriarch’s adult children are heavily involved from the planning stage to the dinner itself. Sherman Habibian said his siblings have been very busy for the last few days picking up turkeys, getting supplies, setting up the dining hall and working countless hours putting everything together. Randy Hargest, Red Rock School’s kitchen manager and nine-year veteran volunteer, said it’s the students who inspire him. “These kids are hands-on,” Hargest said. 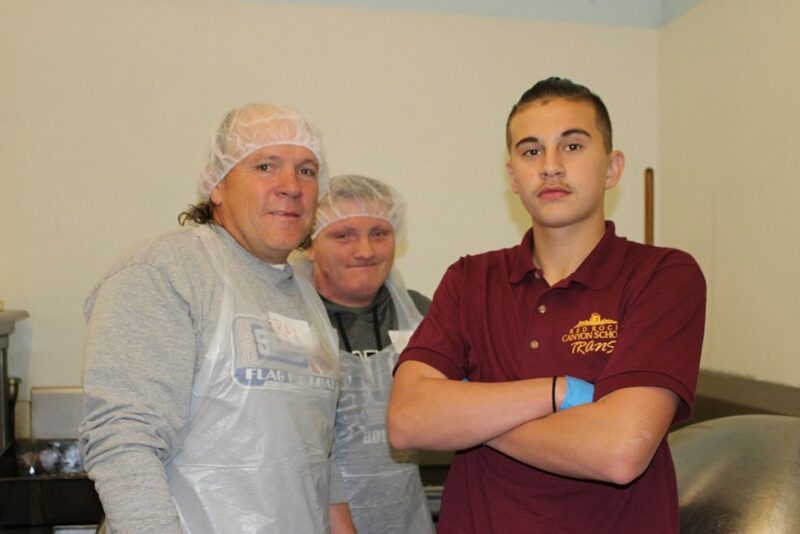 Many of Red Rock School’s students were volunteering alongside Hargest in the kitchen Thursday and have spent a great deal of time helping with preparations for the meal, including taking Hargest’s cooking class that he teaches once a week. 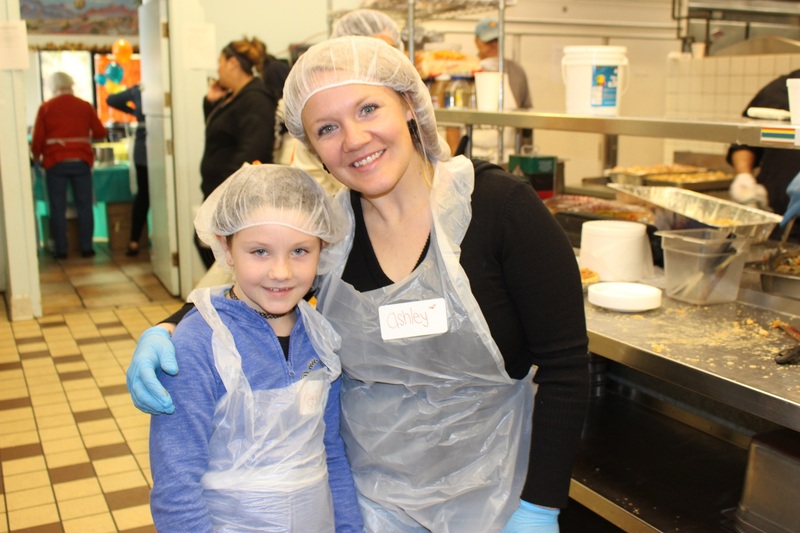 First-year volunteer Becky Adams was working in the kitchen alongside her husband, children and grandchild. “I think this is amazing, and I’m so grateful that we get to be here doing this,” Adams said. 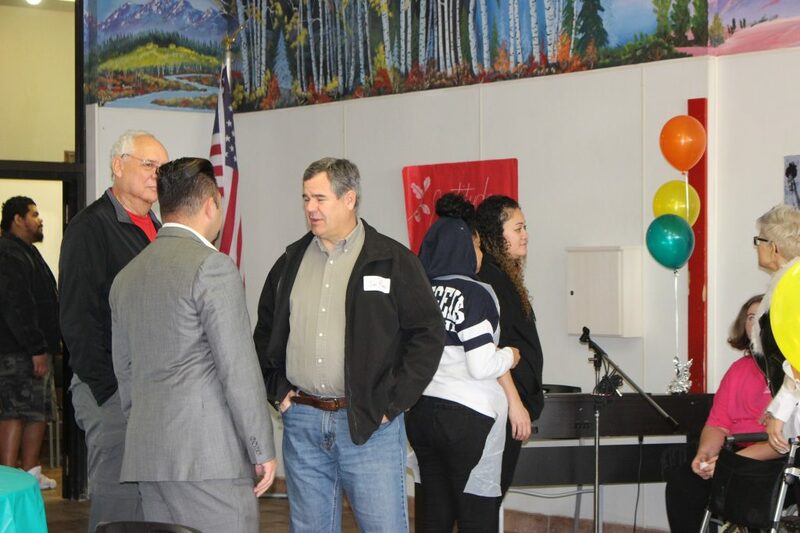 As everything came together with guests lined up outside of the building, Sherman Habibian reflected on how the community event started, saying it goes back to his father. “The crazy thing is Frank just really loves people – he really does,” Sherman Habibian said.